Editors Note: The Synagogue is the Jewish Community Centre which meets community wishes to say Jewish prayers, learn about Judaism, have discussions and look after members of the community. A central feature of this community is the importance of education. Two thousand years ago the High Priest made it compulsory for all males over six to go to a primary school (Talmud Torah or and later also called a Cheder) and the establishment of Yeshivot where advanced education was given leading to the ordination of Rabbis. (See Synagogues - The Ivy League Yeshiva). Thus illiteracy was rare in Judaism but was common in Christianity. It also explains why the synagogue was so important in Jewish ghettoes and why Hebrew was an international language amongst Jews before the establishment of Israel. The story of your synagogue gives a picture of the development/decline of Judaism in the area. Where there is more than one synagogue, putting them together will give a more ‘rounded’ picture. An example is the story of Portsmouth synagogue in England. Portsmouth is on the south coast and probably has the oldest Jewish community outside London. A major port, its story shows the development and then changes as many congregants moved out of the area, usually to London. In 64 CE - Six years before the destruction of the Second Temple in 70 CE - the High Priest Joshua ben Gamiel - instituted a law that teachers should be appointed in every province and in every town and that all children above the age of six or seven were to be placed in their charge. Attendance was obligatory up to the age of thirteen. Girls were excluded from this instruction, but they were often taught privately, for the yearning for education was a kindling force that reached out in different forms to all strata of the people. Primary schools were established in cities towns villages - even hamlets. The public response to the institution of the Talmud Torah (which in the beginning was also called ‘Bet Sefer’ (House of the Book) was one of religious and patriotic enthusiasm. The confident declaration by the Jewish educators in the Talmud was: ‘So long as the voices of the children of Jacob are heard studying Torah in the schools , the hand of Esau will not be able to prevail against them’. The Nobel Prize is an annual, international prize first awarded in 1901 for achievements in Physics, Chemistry, Physiology or Medicine, Literature, and Peace. An associated prize in Economics has been awarded since 1969. Nobel Prizes have been awarded to 881 individuals, of whom 197 - 22.4% - were Jewish or people of Jewish descent,[Note 1] although Jews and people of Jewish descent comprise less than 0.2% of the world's population. Jews or people of Jewish descent have been recipients of all six awards, including 41% of economics, 28% of medicine, 26% of physics, 19% of chemistry, 13% of literature and 9% of all peace awards. The first Jewish recipient, Adolf von Baeyer, was awarded the prize in Chemistry in 1905. As of 2016, the most recent Jewish recipients included J. Michael Kosterlitz (physics), Oliver Hart (economics) and Bob Dylan (literature). Jewish laureates Elie Wiesel and Imre Kertész survived the extermination camps during the Holocaust, while François Englert survived by being hidden in orphanages and children's homes. Others, such as Walter Kohn, Otto Stern, Albert Einstein, Hans Krebs and Martin Karplus had to flee Nazi Germany to avoid persecution. Still others, including Rita Levi-Montalcini, Herbert Hauptman, Salvador Luria, Robert Furchgott, Arthur Kornberg, and Jerome Karle experienced significant antisemitism in their careers. The oldest person ever to receive a Nobel Prize was Leonid Hurwicz, a Polish-American Jew who received the 2007 prize in Economics when he was 90 years old. Like all preindustrial societies, ancient Israel first experienced a type of education that was essentially familial; that is to say, the mother taught the very young and the girls, while the father assumed the responsibility of providing moral, religious, and handcraft instruction for the growing sons. This characteristic remained in Jewish education, for the relation of teacher to pupil was always expressed in terms of parenthood and filiation. Education, furthermore, was rigid and exacting; the Hebrew word musar signifies at the same time education and corporal punishment. Once they were established in Palestine, at the crossroads of the great literate civilizations of the Middle East in the beginning of the 1st millennium bce, the Jewish people learned to develop a different type of education—one that involved training a specialized, professional class of scribes in a then rather esoteric art called writing, borrowed from the Phoenicians. Writing was at first practical: the scribe wrote letters and drew up contracts, kept accounts, maintained records, and prepared orders. Because he could receive written orders, he eventually became entrusted with their execution; hence the importance of scribes in the royal administration, well-attested since the times of David and Solomon. The training given these scribes, moreover, included training of character and instilling the high ideal of wisdom, as would befit the servants of the king. Writing found another avenue of application in Israel—in religion. And the scribe again was the agent of education. He was the man who copied the sacred Law faithfully and established the canonical text. He was the one who read the Law to himself and to the people, taught it, and translated it when Hebrew ceased to be the vernacular or “living language” (into Greek in Alexandria, into Aramaic in Palestine); he explained it, commented on it, and studied its application in particular cases. After the downfall of Israel in 722–721 bce and Judah in 586 bce and their subjection to foreign rule, Jewish education became characterized more and more by this religious orientation. The synagogue in which the community assembled became not merely a house of prayer but also a school, with a “house of the book” (bet ha-sefer) and a “house of instruction” (bet ha-midrash) corresponding roughly to elementary and secondary or advanced levels of education. Girls, however, continued to be taught at home. The role of writing in this Oriental world should not be exaggerated, of course; oral instruction still held first place by far. Although a pupil might learn to read aloud, or rather to intone his text, his main effort was to learn by heart fragment after fragment of the sacred Law. Alongside this written Law, however, there developed interpretations or exegeses of it, which at first were merely oral but which progressively were reduced to writing—first in the form of memoranda or aide-mémoire inscribed on tablets or notebooks, then in actual books. The diffusion of this religious literature called for an expansion of programs of instruction, evolving into diverse stages: elementary, intermediate, and advanced—the latter in several centres in Palestine and later in Babylonia. This religiously based education was to become one of the most important factors enabling Judaism to survive the national catastrophes of 70 and 135 ce, involving the capture and subsequent destruction of Jerusalem. In their dispersion, the Jews clung to Hebrew, their only language for worship, for the study of the Law, for tradition, and consequently for instruction. From this evolved the respect with which the teacher was and is surrounded in Jewish communities. Education is essential to the practice of Judaism, and one of the primary functions of the synagogue is as a house of study (beth midrash). For observant Jews, this meant the study of the written Torah and, by extension, the oral Torah as transmitted through the Mishnah and Talmud. Many synagogues, when not used for services, provided space for Jewish boys and men to gather to study. In the Middle Ages, Jewish schools were most often associated with particular rabbis and located in synagogues. By the 18th century, many separate study houses were built near synagogues to accommodate the large number of Talmud students. In Germany and elsewhere in Western Europe, purpose-built Jewish schools also existed in many cities. While they were often situated near synagogues, they also had their own small synagogues within to serve the prayer needs of students. Education for most Jewish boys began at the age of three with the teaching of the Hebrew alphabet. In Eastern Europe, boys attended an elementary religious school known as a cheder (literally meaning “room”) starting at about age five, where they learned—often in appalling conditions—the rudiments of Hebrew and began studying the Torah, the five books of Moses. Girls were mostly educated at home by their mothers. Some learned Hebrew and many more learned to read their spoken language of Yiddish, which is written in Hebrew characters. In the United States, religious schools were established at synagogues by the mid-19th century, while the system of cheders was continued into the late 19th and early 20th centuries by Eastern European immigrants. Because most American Jewish children attended public schools, Orthodox and then Conservative congregations quickly adopted the model of the synagogue religious school, too. Variations developed within the different branches of Judaism, but all implemented some combination of afternoon, evening, and Sunday classes. In recent decades, the Jewish day school movement has developed as an alternative to public schooling. Jewish day schools combine a full secular curriculum with Jewish cultural and religious instruction. Since the 19th century, Jewish education has been a crucial precursor to the confirmation ceremony, created by the Reform movement as an affirmation of commitment to the Jewish people. Originally, reformers intended for confirmation to supplant the traditional bar mitzvah ceremony. The custom of holding a confirmation ceremony originated in Germany in 1810, where a boy’s confirmation took place on the Sabbath of his bar mitzvah in a ceremony at home or school. This was followed by the first confirmation of Jewish girls seven years later. From there, confirmation spread to Reform Jewish congregations across Europe over the next three decades before taking hold in the United States. Today, confirmation is still practiced by Reform congregations, though often it is of less importance than the traditional bar or bat mitzvah, which has regained popularity. NOTE: To learn more about current trends in North American Orthodox and non-Orthodox Jewish day schools, along with Hebrew schools (also known as supplemental or congregational schools) and Hebrew charter schools, consult our partner site JTA. In the United States, education in the traditions of Ju­daism has had a complex history, which has been dominated by numerous shifts in its orientation and goals. From the colonial period, when the small Sephardic community established its first private school, to the congregational schools established by the German-Jewish community in the mid-19th century, to the community-based Talmud Torah schools that served the Eastern European immigrants of the early 20th century, Jewish education has at­tempted to parallel and complement the American ed­ucational system and to create lasting institutions that preserve and sustain Jewish life as a vital force for the next generation. Jewish education has been used both for Americanization and for preserving European Jewish culture and tradition. It has been the source of controversy and debate over the relationship between religious and secular education. The earliest Sephardic Jewish settlers in North America either educated their children privately in their own homes or paid for them to be taught in pri­vate schools. In the colonial era and throughout the early 19th century, education was not consid­ered to be a Jewish communal responsibility. The first official school under Jewish auspices was established at Shearith Israel (the Spanish and Portuguese Synagogue) in 1731 in New York City. Focusing on Hebrew studies, the school (although attached to the syna­gogue) operated as a separate entity with its own fees. In 1755, Shearith Israel expanded to include secular subjects, such as English composition. After closing during the Revolutionary War, the school reopened and functioned as a day school until 1821, receiving state funds as part of New York’s newly created com­mon school system that enabled poor Jewish children to receive an education. Overall, few 18th-cen­tury congregations established lasting institutions. 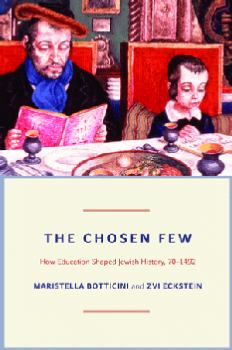 There was a general belief that Jewish education was part-time and secondary. Secular and religious studies were seen as separate activities. In the mid-19th century, the new German Jewish immigrants — dissatisfied with the content and quality of Jewish studies — began to establish congrega­tional day schools that combined secular and religious education. B’nai Jeshurun, New York City’s first Ashkenazic synagogue, became the first to organize a day school in 1842. A few years later, Issac Mayer Wise [a luminary of the American Reform movement] founded the Talmud Yeladim in Cincinnati and, in 1851, the Hebrew Educational Society was established in Philadelphia. Despite tremendous initial enthusi­asm, these schools did not last beyond the Civil War era. By the 1870s, the Jewish congregation day school movement had collapsed in disarray for a variety of reasons, including the lack of national coordination and the transient nature of the Jewish population. Also, state education systems began to satisfy the needs of many Jewish parents. By the late 19th century a growing number of German Jews began to believe that Jewish day schools would create an unhealthy division between Jewish and gentile communities at a time when Central European immigrants and their children were themselves becoming part of the American mainstream. Ameri­can culture and integrated schooling were embraced as a tool of socialization. At the same time as Jews became more integrated into general, public education, synagogues began de­veloping supplementary Jewish schooling for reli­gious instruction. Rebecca Gratz established the first Sunday school in Philadelphia, and other synagogues began full-day Sabbath and afternoon programs. The influence of Reform Judaism, focusing on the univer­salism rather than the particularism of Judaism, meant that many of these synagogue programs es­chewed Hebrew and the study of classical texts in favor of monotheism and English translations of the Bible. The first Hebrew free schools also emerged, in the post-Civil War era, as a means of providing Jewish education for the children of less affluent parents and to counteract the influence of the Christian mission schools in Jewish neighborhoods. The late 19th and early 20th centuries wit­nessed the arrival of hundreds of thousands of Eastern European immigrants who felt little or no connection to most of the Jewish education options available. They generally rejected the free schools and the uni­versalism of the Reform supplementary programs, with some in New York City gravitating instead to the community-based Talmud Torah schools, which used their native Yiddish as the language of instruction and emphasized traditional learning of Torah and Tal­mud. Not surprisingly, the, established German Jew­ish community viewed the Talmud Torah schools negatively because of their belief that sustaining the East European shtetl [village] traditions and religious practices represented a step backward from becoming full-fledged and culturally refined Americans. Although settled “American Jews” created educa­tional institutions such as the Educational Alliance to transform immigrants and clashed with the newcom­ers over their desire to preserve old world ways, it did not take long for East European Jewish immigrants to accept the public schools for the education of their sons and daughters. The community cohesion neces­sary to create Jewish day schools that both offered reli­gious studies and also satisfied new state education requirements proved daunting. Despite the reverence for tradition on the part of new immigrant families, most parents wanted their children to learn the lan­guage and values of their new home. Although East­ern European Jewish men created heders (religious elementary schools) to replicate educational institu­tions similar to those in the old country, American-in­fluenced sons did not necessarily share the enthusiasm of their fathers for the heder rav (leader) and the world he represented. By the beginning of World War I, only one-quarter of school-aged children received any Jewish education in New York City. In significant decline, Jewish education required an infusion of modernization and new blood, and it came in the person of Samson Benderly. Benderly be­came professionally committed to Jewish education while studying medicine in Baltimore. In the second decade of the 20th century, he came to New York to develop and lead the new Bureau of Jewish Educa­tion. As its main goal, the Bureau sought to unite the city’s Jewish population by connecting traditional Jewish forms to contemporary American ideals. Benderly encouraged Jewish educators to view the process of Americanization as compatible with building a viable Jewish culture in the United States. At the same time as Louis Brandeis began to frame Zionism as fundamentally aligned with American val­ues, the founders of modern Jewish education used much of the same rhetoric to promote Jewish educa­tion as blending the best of American and traditional Jewish thought and practice. Although the Bureau sought to build a Jewish “common” school, its limited financial resources shifted its focus to working with New York City’s Tal­mud Torahs to improve and invigorate their curricula. But the new proliferation of Jewish educators precipitated the es­tablishment of Bureaus of Jewish Education in a vari­ety of other cities between 1915 and 1938, including Minneapolis, Pittsburgh, Detroit, Buffalo, and Balti­more, and led to the founding of new Hebrew teachers colleges. Eastern European Jewish tradition tended to favor education for boys far more than for girls, with a focus on bar mitzvah preparation and prayer recital taught by private tutors or in the exclusively male heder set­ting. By 1920, the Jewish education of girls became more accepted, and the seminaries for training teach­ers for the Hebrew schools enrolled an increasing number of female students. In addition, in the Yiddish secular schools that developed during the 1920s from Socialist and labor Zionist foundations, girls studied equally with boys. Most Jewish private day schools continued to be exclusively for boys. In the 1930s, Shulamith, the first day school for girls, opened in Brooklyn with a curriculum virtually identical to that of the day schools for boys. Beginning in the late 1930s and accelerating during and especially after World War II, the development of new Jewish con­gregational schools led to a focus primarily on reli­gious rather than cultural education. Congregational schools of different Jewish denominations were able to develop in new urban and especially suburban set­tings, but the Yiddish schools and the more radical and nationalist educational programs fared less well because of increasing economic mobility and the ac­culturation of the children of immigrants. With the es­tablishment of the State of Israel, the nationalist message became institutionalized within all but the most traditional Orthodox Jewish congregational schools. One of the most astounding changes in modern Jewish education has been the growth of private Jew­ish day schools, a phenomenon that harkens back to the colonial era and the mid-19th century. This movement evolved [in part] because of the immigration of ultra-Orthodox Hasidic refugees arriving from Eu­rope before and after World War II. With no desire to integrate themselves into the American mainstream or to separate general from religious instruction, these Hasidim developed separate schools for boys and girls to prepare them to become observant, ultra-Orthodox Jews. More surprising, perhaps, has been the devel­opment by the Conservative movement of its own Solomon Schechter Day Schools, which have been es­tablished in more than 60 communities. The Re­form movement has begun to develop day schools, although they represent only [a small percentage] of the overall total of these programs. The proliferation of these schools can be traced to the belief among many Jewish families born and educated in America that it is no longer necessary to send their children to public school to acculturate them as Americans. These par­ents want a Jewish educational system for their chil­dren because they want to imbue them with Jewish thought and values. UPDATE: Since this article was published, the situation in Schechter schools has changed, with many facing enrollment challenges, changing affiliation or closing altogether. To learn more about current trends in Orthodox and non-Orthodox Jewish day schools, congregational schools and Hebrew charter schools — consult our partner site JTA. When Roman soldiers destroyed Jerusalem’s Second Temple in AD 70, they unknowingly planted the seeds of centuries of Jewish flourishing. The temple’s destruction shifted power within Judaism from the high priests who had governed temple life to the widely scattered rabbis and religious scholars devoted to studying the Torah. Henceforth, every upstanding Jewish man would learn to read the Torah, the scholarly authorities ruled, and Jewish families would send their sons to school. By learning to read and write, Jews transformed themselves into marketable assets in a largely illiterate world. Maristella Botticini, an economist at Università Bocconi in Milan, and Zvi Eckstein, an economist at Tel Aviv University, say that these skills led the Jews to carve out a lasting niche in finance, trade, and business that brought them wealth and carried them to the ends of the earth. Judaism’s new requirements cost it dearly at first. Jewish farmers in the Near East had neither the money to learn to read nor much use for the skill. After the destruction of the Second Temple, some converted to Christianity and other faiths that imposed no reading requirement, helping to reduce the Jewish population between the third and sixth centuries AD. But the literate Jews who endured soon prospered. After the birth of Islam in the seventh century, the Muslim caliphs built a vast empire, boosting urbanization, manufactures, and trade. Botticini and Eckstein note that “almost all the Jews in Mesopotamia and Persia — nearly 75 percent of world Jewry — left agriculture and moved to the cities and towns of the newly established Abbasid Empire to engage in myriad skilled occupations.” There, they manufactured and traded wares, changed and lent money, and worked as physicians. Opportunity took them to Africa, Asia, and especially to Europe, where trade and commerce began to revive in the 10th century. Wherever the Jews went, they had a leg up on competitors. “They could read and write contracts, business letters, and account books using a common alphabet (Hebrew) while learning the local languages of the different places in which they dwelled.” And they could broker deals with more than just a handshake. Jews made agreements with coreligionists based on Jewish law codified in the Talmud. Conventional wisdom holds that Jews’ prominent role in moneylending resulted from the Christian church’s prohibition on lending money at interest and Jews’ exclusion from other fields by guilds. But Botticini and Eckstein say Jewish involvement predated both the enforcement of the ban and the rise of the guilds by a century or more. Jews simply enjoyed a competitive advantage in the field. Not all with Jewish education become scribes; some become “rabbis,” and not all “rabbis are spiritual leaders. Some rabbis sell books, some teach, some circumcise, some are Torah scribes, some oversee matters of kashrut, and some even sell insurance. The one thing that is common to all rabbis, however, is their education in Jewish practice, history, prayer, law, and theology, and it is from this and from the Scriptures that we get Judaism’s emphasis on, and respect for, education. I recall my mother’s two favorite instructions to me; they were: “Eat all of your food because children in Europe are starving,” and the other one: “Study hard and get good marks so that I can be proud of you.” Well, I listened to her on both counts and have become both educated and large in size. Originally, education meant “Jewish” education only, but Judaism’s respect for education broadened to all education, and a son’s or a daughter’s professional achievements have become the source of Jewish parental pride. You have no doubt heard Jewish parents bragging: “my son the lawyer” or “my son the doctor – well, okay so he’s a dentist”). Sadly, I have rarely heard a Jewish mother brag about her “son the honest hard worker,” or her daughter the “good wife and mother.” My appreciation of those virtues had to wait until I became a believer and came to appreciate them from my study of the Bible. I hope I have succeeded in showing you that appreciation for education is characteristic of Jewish people, and you can even notice it here at Ohev. We have Shabbat school for children, afternoon Torah study for adults, a course in Biblical Counseling, a substantial Jewish and theological library (part of which is packed up because of our building situation), free online courses in Messianic Judaism and theology, a periodic course in Alef-Bet Hebrew, training for B’nei and B’not Mitzvah and HaDerek, and we even require a multi-week course of training for those that want to become congregational members. Everywhere you turn in Judaism (including in Messianic Judaism), there is something to study – something to learn. Jewish education typically begins at home, continues in cheider (i.e. Hebrew School), and culminates in Bar Mitzvah and, more recently, in Bat Mitzvah as well. Young Jewish men (and these days also women) that want to study further, either enroll in a Yeshiva or become the disciple of an individual rabbi. Upon completion, the student may be ordained as a rabbi or a sofer (a scribe) solely on the basis of his or her education because rabbis do not necessarily have pastoral responsibilities. A cantor (a chazzan or Jewish prayer leader) may attend Yeshiva as well, but other institutions for training are more common. Notice that I spoke of students, rabbis, scribes, and cantors, as being both male and female. That is a relatively new phenomenon in Judaism, and is still not the case in Orthodox Judaism where its leaders remain entirely male. If there is one expectation of a traditional rabbi (either male or female) it is to teach, and the kind of teaching that is expected is mostly Torah and Talmudic law. Traditional Jewish learning begins at home at age 3 and continues into cheider (Hebrew School) at age 5. Teaching may be conducted in Yiddish or some other language, but Hebrew and Aramaic are the main language taught. First comes the Hebrew alphabet, then reading Hebrew, and when that is accomplished, the study of Torah begins. At age 7, the youngster is introduced to the Talmud that consists of the oral law (the Mishnah) that is written in Hebrew, and rabbinical debates and opinions arounthe Mishnah (the Gemara) that is written mostly in Aramaic – hence the need for Aramaic in traditional Jewish studies. All of this culminates in Bar Mitzvah for a boy at age 13 (or later), and Bat Mitzvah for a girl at age 12 (or later). The subjects traditionally included in Jewish education are the Tanakh, but predominantly the Torah which is the first five books of the Tanakh. Within the Torah, there is an emphasis on the last four books because they are the ones that contain the Law that was given to Moses by God and then committed by Moses to writing. Second, is the Mishnah of the Talmud that is supposedly additional law given to Moses that was carried by memory through the centuries and was finally written down by Judah the Prince in the third century. Third is the Gemara of the Talmud and although the Talmud is of primary importance within the wider Jewish world, it is not considered, by Messianic Jews, to be inspired as Scripture is inspired. Although it is not Scripture, the Talmud is the body of Jewish writings that give rise to most Jewish traditions – even those that we experience here at Ohev – traditions like wearing head coverings, lighting Shabbat candles, blowing the shofar at prescribed times, separating milk from meat at our Oneg Shabbat, etc. In addition to the Bible, it is what forms the basis of what the wider Jewish world considers Jewish law (halachah), and that we consider Jewish tradition. What have so far been described, are the key elements of rabbinical literature; but there is more. Another item of classical Jewish study is (4) the siddur (the traditional Jewish prayer book). The siddur developed over time as a folk document, with prayers surviving that were found meaningful in the early Jewish communities. There is a common structure to all siddurim, but also differences that reflect the various Jewish denominations. And the siddur is still in a state of development as changes are made from time to time, and several Messianic Jewish siddurim have also been published. Did I say “prayer book?” Nothing is that simple in Judaism, so there are siddurim for weekdays, siddurim for the Sabbath, machzorim for the holidays, hagaddot for Passover seders, and benchers for miscellaneous prayers and blessings. Onward and upward, we come to the midrashim. “Midrash” is a term for a body of ancient commentaries on the Tanakh and the Mishnah. The earliest known midrash dates back to the 2nd century, and (5) Midrash Rabbah is the best known and most complete compilation of the midrashim, and is commentary on the Torah and the Megillot (scrolls of Song of Songs, Ruth, Esther, Lamentations, and Ecclesiastes). The next body of literature that is considered a “must” in Jewish education is that which extracts and compiles Jewish law (halachah) from both the Tanakh and the Talmud. (6) The Shulchan Aruch (Set Table) is a multi-volume compilation that is the principle authority of Jewish law today. So large is this work that, in 1804, Shlomo Ganzfried extracted from it and published his Kitzur Shuchan Aruch (published as “Code of Jewish Laws”) that is a standard gift given to all Orthodox B’nei Mitzvah; I received one from my Hebrew teacher and still have it. But there are other compilations of law as well. The most well-known of these (though not the earliest or the latest) is Sefer HaMitzvot (Book of Commandments), a compilation by Maimonides of 613 commandments that he derived almost exclusively from the Torah. He followed this up with his enormous work (9) Mishneh Torah that included the 613 commandments, and added the entire body of Talmudic law to it. A problem with the Shulchan Aruch and the Mishneh Torah is that they include laws that are no longer applicable today. Yisrael Meir HaKohen (the “Chafetz Chaiyim) sought to correct this, so he wrote (10) Sefer HaMitzvot HaKatzar (“Short Book of Commandments”) that only includes those that he deemed applicable in the twentieth century. Finally, so much of Jewish studies has to do with Jewish law, that I feel I must draw your attention to a relatively new literary movement in Judaism known as “musar” meaning “reproof” or “instruction” as the word is used in Proverbs 1:8. It was founded by Israel Salanter in 19th-century Lithuania, and deals with Jewish ethics and relationships with the expectation that those who meditate on matters of musar will fulfill their ethical and religious obligations as part of their enhanced nature. From the end of the second century CE, Judaism enforced a religious norm requiring fathers to educate their sons. We present evidence supporting our thesis that this change had a major influence on Jewish economic and demographic history. First, the high individual and community cost of educating children in subsistence farming economies (2nd to 7th centuries) prompted voluntary conversions of Jews that account for a share of the reduction from 4.5 to 1.2 million. Second, the Jewish farmers who invested in education gained the comparative advantage and incentive to enter skilled occupations during the urbanization in the Abbasid empire in the Near East (8th and 9th centuries) and they did select themselves into these occupations. Third, as merchants the Jews invested even more in education—a precondition for the mailing network and common court system that endowed them with trading skills demanded all over the world. Fourth, the Jews generated a voluntary diaspora within the Muslim Empire and later to Western Europe. Fifth, the majority of world Jewry lived in the Near East when the Mongol invasions in the 1250s brought this region back to a subsistence farming economy in which many Jews found it difficult to enforce the religious norm, and hence converted, as it had happened centuries earlier. In an encore post, Maristella Botticini and Zvi Eckstein explain that the early Jewish emphasis on literacy set Jews up for economic success. Why did you choose the title “The Chosen Few”? Don’t you feel it may create misunderstandings? We explain the meaning of this title in the book’s introduction. But instead of repeating here what is clear throughout the book, let us communicate another positive message that our book intends to spread: in the world of almost universal illiteracy back 2,000 years, the Jewish religious leadership — the rabbis and scholars in the academies in Judea and Galilee — required each Jewish individual, child or adult, rich or poor, farmer or merchant, to learn to read and study the Torah. Instead of restricting learning, study and knowledge to a small elite, the Jewish religious leadership of that time went exactly in the opposite direction: it pushed Judaism toward making literacy, education and knowledge universal among all Jews. Centuries later, this apparently odd choice of a religious norm became the lever of the economic prosperity and intellectual achievements of the Jews. Have the Jews been an urban population specialized in the most skilled occupations (e.g., trade, finance, medicine, law) since biblical times? The answer is: no. Back 2,000 years ago, when our book starts, the occupational structure of the Jews was not peculiar at all: almost all Jews were illiterate farmers, exactly like the rest of the population in the locations in which the Jewish communities dwelled — Eretz Israel, Mesopotamia, North Africa, Syria, the Balkans and southern Europe. If one travels back in time and takes a picture of the world as it was 2,000 years ago, one could hardly distinguish a Jew from a non-Jew when it came to the way people earned their living. If we took the same picture in the 1920s to 1930s, as the eminent economist Simon Kuznets did, using a lot of data and statistical analysis, one would see a completely different pattern: between 91 and 99 percent of the Jews in the world were engaged in urban skilled occupations, whereas most of the population in the world, with the exception of very few countries such as the United States, was still earning a living from agriculture. In the almost 2,000 years from 70 CE to 1939, the occupational structure of the Jewish people had become distinctive. This fact immediately raises a question: when and where did this occupational transition happen? It began in Mesopotamia (where more than 70 percent of world Jewry dwelled) under the rule of the Umayyad, and later, the Abbasid Muslim caliphates, during the eighth to ninth centuries, and then it spread to other locations. The economic changes prompted by the geographical expansion, the commercial growth and the vast urbanization in the newly established Muslim caliphates had a profound and lasting impact on the occupational structure of the large Jewish community dwelling in this enormous empire. Literacy (which the Jews became endowed with because of the profound transformation of their religion after 70) is not enough to explain the specialization of the Jews in urban skilled occupations. There is much more than just literacy that can explain their peculiar occupational structure (e.g., the ability to think in an analytical way because of the study of the Talmud, networking abilities, mutual trust, etc.). We agree with some of these suggestions. In fact, in chapter 6, we describe in great detail the positive spillover effects for the Jews of being able to read and to study the Torah in the vastly illiterate world of the first (and part of the second) millennium. Let us summarize them here, albeit briefly. If Jewish children and adults learned to read the Torah in Hebrew (as their religion required), they could read other texts written in the same language (such as letters, contracts, account books, business records and other non-religious texts). Thus “religious literacy” (the ability to read the Torah in Hebrew) helped acquire “general literacy” (the ability to read any text). Back 2,000 years ago (and still many centuries later), general literacy was almost useless to farmers (Jewish and non-Jewish), but it was very valuable to craftsmen and merchants often in need of writing letters and business contracts and to keep account books. Judaism after the year 70, required both children and adults to read and to study the Torah. That is, it was not enough to just read without understanding the text and it was not enough to just memorize the text. This means that after 70, Judaism imposed on its members not just literacy per se but also the duty of understanding what was written. Again, this skill was valuable for occupations that benefited from understanding what was written in a contract or business letter such as crafts, trade or banking. From the way learning happens even today, we know that if someone learns one language, it is more likely that the same person can learn a second or third or a fourth language. In the period we study (70-1492), Jews read the Torah in Hebrew and learned the different local languages of the locations in which they dwelled (e.g., Aramaic, Greek, Latin, Arabic, Spanish and German). Acquiring basic literacy was the first step in moving to higher studies and acquiring more and more education. So learning to read and studying the Torah were prerequisites for learning and studying more complex texts such as the Mishna and the Talmud. Those who studied these texts (consisting of extensive debates and discussions among rabbis and sages) acquired the ability to think in an analytical and argumentative way — skills that could become helpful in commercial, entrepreneurial and financial activities. Literacy and education fostered mobility because literate and educated Jews could more easily migrate to new locations in search of business opportunities, learn the local languages, and stay in touch with relatives and business associates back at home by writing and reading letters. (In chapter 6, we provide a sample of these letters.) Mobility was not an asset for farmers, but it surely was for merchants and traders. Literacy, education and mobility fostered networking abilities among Jews living in different locations: it is hard to stay connected with business associates if one cannot read and write letters and contracts. Again, networking was not especially valuable for farmers, but it was very valuable for traders and bankers, who could exploit arbitrage opportunities through networking with business associates in different locations, and exchange information and capital when needed. Literacy and education are prerequisites for having legal codes and courts that can enforce contracts. Even today, having contract-enforcing institutions promotes commercial and trading activities. Many centuries ago, thanks to their literacy and education, the Jews had a set of contract-enforcing institutions, more precisely: a legal written code (the Talmud); the rabbinical courts that ensured that deeds and contracts among Jews could be enforced regardless of where the Jews were living; and the rabbinical written Responsa that helped solve legal controversies when unforeseen in the Talmud. To sum up: in our first post we focused on literacy. However, in our book we explain that the Jewish religious leadership imposed religious literacy on its members after 70. It did so for purely religious motives — to ensure that every Jewish individual could learn and obey the Jewish Law written in the Torah — but the side effect was that Torah study endowed the Jews with other skills and assets, including general literacy, the ability to understand texts, analytical reasoning, mobility, networking abilities and contract-enforcement institutions. Centuries later, those skills would become the lever of the transition into high-skill occupations and specializations like crafts, trade, entrepreneurial activities, finance, medicine and the law. In what sense does your book really deliver a novel argument? From reading your post, isn’t it obvious to anyone that Jews have been more educated than other people for most of their history and this is the reason why they became successful traders, bankers, doctors, lawyers, etc.? To those readers who are skeptical about the novelty of the analysis in our book, we reply with three main points. First, as described above, documenting the timing and geography of the Jewish occupational transition is one of the novel and main contributions of our book. In doing so, we did not re-invent history but coherently put together the evidence that many prominent historians have collected. Instead of focusing on one geographical area or a specific time period, we considered the stretch from 70 to 1492; in doing so, we could track the timing and geography of the profound transformation in the occupational structure of the Jews. Only once we know when and where the occupational transition of the Jewish people occurred is it possible to address the second fundamental question: why, at a given point in their history, did the Jews become an urban population engaged in the most skilled occupations, which remains so today? Before claiming to put forth any new theory, scholars doing serious academic research study and analyze what other scholars have written on the same topic. Others have cited restrictions on Jewish land ownership, bans on their lending money or religious persecution to explain the Jews’ investment in education and human capital. Still others have suggested Jews voluntarily segregated into urban jobs to preserve their religious and cultural identity. We disagree with these theories because we show that they are inconsistent with the key historical facts — facts that we did not invent, but that have been documented by many historians. Second, it is well known that after 70 CE, Judaism became a religion focused on reading and studying the Torah by each member of the community. It may not be equally well known that Judaism was the only religion at that time (and for many subsequent centuries) that required families to send their children to school or the synagogue to learn to read and to study the Torah from the age of six or seven. As explained in our first post, this was a unique and quite revolutionary change in the primarily agrarian and illiterate world of 2,000 years ago. A farmer — whether Jewish or non-Jewish — needed children with physical strength who could help him with the farm work; by contrast, children who could read the Torah did not help farmers earn a living; they would have been an economic burden given the way the economy functioned back then. Yet, unlike other scholars, we disagree with the argument that the investment in literacy and education was the outcome of persecutions (known as the “portable human capital” argument), and we go into a lot of detail in to explain why. Here we just briefly summarize the two main points to highlight another key novelty of our book: two thousand years ago, the Jews were the majority of the population in Eretz Israel, where Judaism’s transformation into a literate religion began. It is therefore hard to apply the argument that Jews became educated because they were a persecuted religious minority where they clearly were not. Moreover, in the first millennium, there were other religious or ethnic minorities, who experienced persecutions like the Samaritans, the Druses and the Christians in the first three centuries. Yet none of them decided to require their members to educate their children and themselves. In more recent times, the Roma, aka “Gypsies,” are an example of a minority that has been repeatedly persecuted, yet they have not invested in literacy and education. As many historians have documented, Jews experienced restrictions, persecutions and massacres in some periods and in some locations. Nobody denies these historical facts. Neither do we. But we disagree with the argument that persecutions were the reason why Jews decided to invest — before and to a larger extent than any other population — in literacy, education and (portable) human capital. In contrast, the emphasis by one Jewish group (the Pharisees) on reading and studying the Torah and sending the children to school pre-dated the historical events of the year 70. The traumatic destruction of the Second Temple in Jerusalem accelerated this transformation of Judaism toward a literate religion — a transformation that one group within Judaism had pushed forward one or two centuries before the Jewish wars and related persecutions that punctuated the history of the Jews in Eretz Israel and the Diaspora during the first and second centuries. Third, regardless of why a proportion of Jews invested in education and human capital, why does our book set forth a novel argument? Shouldn’t it be obvious that a literate and educated population would prefer earning higher incomes in the crafts, trade or banking instead of struggling to make a living as farmers? We disagree with this statement. In fact — and this is the third novel argument of our book — the Jews remained mostly farmers for seven or eight centuries after the transformation of Judaism into a literate religion. Why? The Jews, now more literate and more educated than the rest of the population because of the unique requirement imposed by their religion, had to wait for the establishment of the vast empire under the Umayyad and later the Abbasid Muslim rulers. The concomitant commercial expansion and urbanization in the vast area stretching from Spain to India suddenly created a huge demand for professions that required and benefited from literacy, education, mobility, networking abilities and contract-enforcement institutions. The Jews found themselves accidentally equipped with these skills thanks to their unique religious norm. This is why they left farming and moved into crafts, trade, banking, medicine and other skilled occupations — the opportunity had finally arisen. What else is novel in your book? Another novel contribution of our book is to explain the striking decline in the size of the Jewish population from the first to the sixth century, and from the thirteenth to the fifteenth century. Like other scholars, we agree that war-related persecutions and massacres, as well as factors affecting general population decline (epidemics), account for a significant part of the Jewish demographic decline. However, we show that these factors cannot account for the entire decline of the Jewish population in those periods. There was something else that made Jews’ numbers dwindle: conversion to other religions with less demanding norms than the costly requirement of educating children that Judaism required. To what extent was Judaism unique in requiring its members to read a sacred text? Didn’t Islam have the same requirement? What about Protestants? During the first millennium, Judaism was the only religion requiring all its male members to learn to read and to study its holy text. Muslims are required to learn the Quran, but from reading experts on the history of religions, it seems this learning can occur through memorization, not necessarily through reading. Also, as far as we know, there was no norm in Islam in the time period we cover that required families to send their children to school to learn to read and to study the Quran. As for Protestantism, we do not mention it (or other religions that spread after 1492) because our book ends in 1492. However, Protestantism also required its members to learn to read and to study the Bible. Indeed, literacy has often been suggested, by scholar Ernest Gellner for example, as a reason for Protestant economic success. Jews imposed this requirement 15 centuries earlier. Why do you deny the role that restrictions, persecutions, banishments and expulsions had on the way Jewish history was shaped? Why do you put all this emphasis just on literacy and education? We ask skeptics to read the explanations above, and chapters 2, 6, 7 and 8 of our book for a detailed answer to this question. Yet, let us repeat even more forcefully than we already have: we do not deny restrictions or persecutions or expulsions in Jewish history. When they happened, we record them in our book; we are not changing or re-inventing history, we summarize what hundreds of historians have documented. What we say in our book is something different. There were documented times and locations in which legal or economic restrictions on Jews did not exist. For example, Jews could own land and be farmers in the vast Umayyad and Abbasid Muslim empire. The same is true in early medieval Europe. Therefore, if these restrictions on land ownership did not exist for most of the time period we cover (70-1492), they cannot explain why the Jews left agriculture and entered trade, finance, medicine and other skilled profession. There must have been some other factors that led the Jews to specialize in the professions they do today. A final word about why people should read your book? We respect anyone’s opinion, but to agree or disagree with a book, you first need to know what the book really says. It is now summer, a good time to borrow a book (any book!) from the local public library and read it. Reading a book is rarely a waste of time, even when we end up totally disagreeing with its main message. Today, go into a Jewish home and you will see that a major topic of conversation is the education of the children. Which school should they go to, what should they study, how can we best help them. The qusetion is how this became imbued into Jews to a leading, maybe the leading, extent in the world?